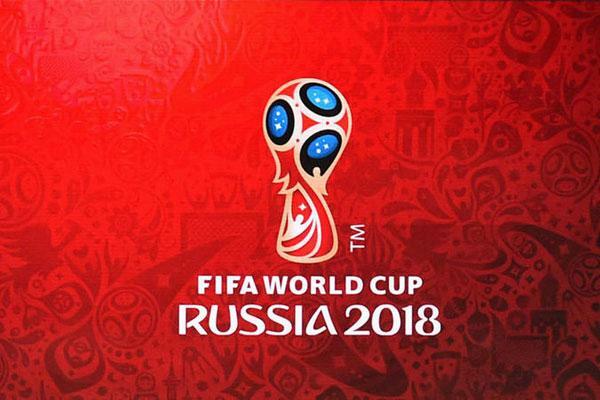 With the World Cup just a few days away, TV stations and bars will be heartened to learn that fan engagement doesn’t necessarily follow the fortunes of their home side in the global football tournament. According to new research, the non-qualifying USA appears to be most gripped by World Cup fever. The surprising result comes from ForwardKeys, which predicts future travel patters by analysing 17 million booking transactions a day. ForwardKeys based their figures on the uplift in visitor arrivals in Russia from 4 June to 15 July. The dates are significant as they cover the period when World Cup ticket holders do not need a visa to enter the country. ForwardKeys points out that interest in the sport has grown since the US hosted the tournament in 1994, and that it is the largest outbound travel market in the world. The USA’s sizeable Latin segment also makes up for the numbers of sports fans that would prefer the ball to be carried rather than kicked. Second on the list is little surprise, however, with many Brazilians expected to head north east this month. Nevertheless, the US has almost double the number of travellers than those from South America’s footballing powerhouse. Traditional football nations Spain, Argentina and Mexico are also in the top six, with the surprises being South Korea and China, although these are geographically closer to Russia. The United Kingdom is in eighth place, one ahead of bitter rivals Germany, whilst Egypt completes the top ten. One surprising absentee is Belgium, which has qualified for this year’s tournament. ForwardKeys puts this down to the collapse of Vim Airlines last autumn. The carrier was the main provider of routes from Belgium to Russia and ForwardKeys suspects that many Belgians will be travelling from neighbouring countries instead. ForwardKeys has also ranked the countries based against visitors to Russia during the equivalent period last year. 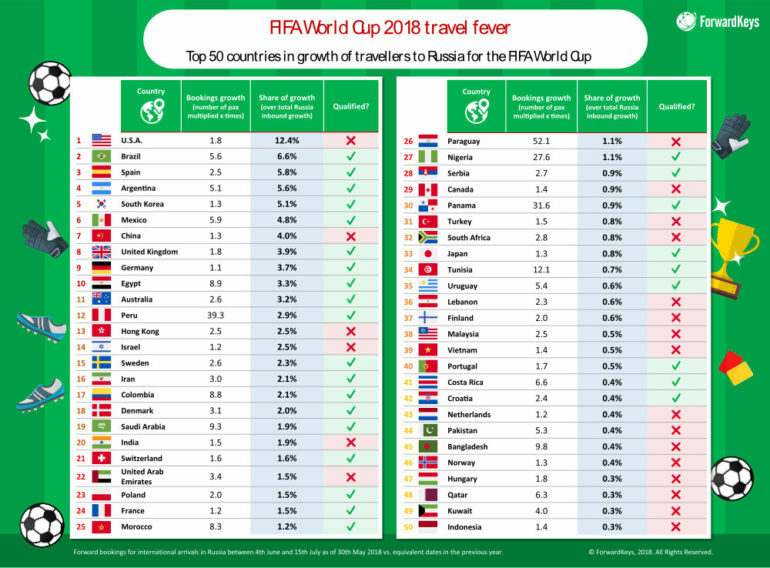 In this alternative survey, Paraguay is the runaway victor, with 52 times as many visitors this year. It’s followed by Peru, Panama, Nigeria, Tunisia, Bangladesh, Saudi Arabia, Egypt, Columbia and Morocco. Clearly there’s going to be a lot of international flavour in Russia this June.